This Mexican quintet dates to the early 80s, to Mexico City's blossoming underground progressive scene. In 1985, they recorded one side of an album, In Principio / Y Murio la Tarde, shared with a side by Arturo Meza. The lineup, at that time, featured violin / mandolin, acoustic & electric guitars, drums, keyboards / piano / kalimba / recorders, and a female vocalist. Their sound is a gentle, acoustic based rock with a strong folk motif, a rich and majestic style that, while quite unique, could be easily find comparison in the earliest edition of PFM in the way the musicians blend acoustic folk-based ideas with symphonic embellishment. Keyboardist and bandleader José Luis Fernández Ledesma penned all four tracks on this original album side. 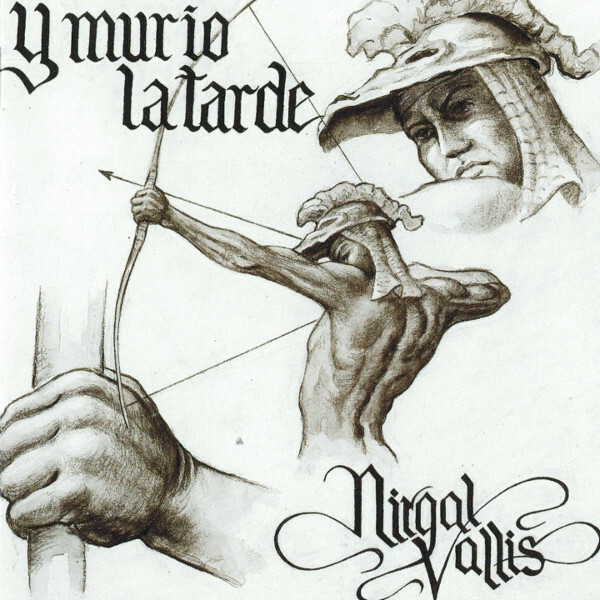 Sadly, by the end of the decade, even though all of the musicians involved were still active in the Mexican music scene, Nirgal Vallis as a band was all but forgotten. But that's not the end of the story. Musea had expressed interest in re-releasing the original four tracks, which inspired the band members to reunite in 1995 and record four new tracks – essentially the missing side of the original album. The new material picks right up where the original side left off, one would be hard pressed to say the recordings were made ten years apart! For the new tracks, a regular bassist was added to the lineup, filling in the sound at the bottom end a bit more. Hopefully this all means that the band may continue to work together in the future. Even if it doesn't, this long forgotten gem is at least available once again. Could the albums by Nazca and 0.720 Aleacion be far behind?